Unsure which product is right for you? Click here. Unsure which solution is right for you? Click here. WHAT CAN AN INTELLIGENT TIRE MANAGEMENT SYSTEM DO FOR YOU? Haltec’s Tire Management System combines tire inspection hardware with web-based software to provide small and large commercial fleets with the most effective way to collect and manage tire inspection data. The HTMS offer a variety of ways to manage tires in real time. So don’t risk the value of your tire and rim assemblies on inconsistent hardware, our high-quality products and services provide the perfect fit to keep your business running efficiently. Fleet managers who oversee the deployment of tens, hundreds, or even thousands of trucks know the ins and outs of service and maintenance costs all too well. That’s why Haltec’s Bluetooth devices and web-based platform allows fleet managers to control, direct and monitor all aspects of their fleet’s tires so that they can maximize their investment. The Haltec Tire Management System enables highly accurate and real-time tire inspections across fleets of all sizes. Get fast, accurate, and real-time auditing reports so you can monitor detailed inspections on the history and current condition of every tire in your fleet. SPECIFICALLY, WHO WILL BENEFIT FROM HALTEC’S TIRE MANAGEMENT SYSTEM WITHIN YOUR ORGANIZATION? Financial officers and business managers can analyze and maximize tire investments, plan tire purchasing strategies, and analyze trends over time for a more accurate determination of asset cost and value. Fleet managers can track and manage service schedules, minimizing downtime and reducing DOT out of service violations. Service technicians can use Bluetooth technology to enable fast and accurate data collection without manual entry error. 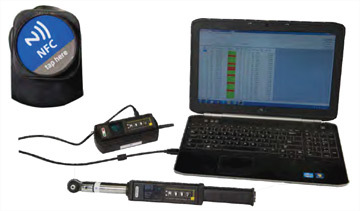 The Haltec Digital Torque Wrench streamlines the torque data collection process. The PCFE software displays stored wrench measurements, showing wrench memory location, date and time, and torque value. 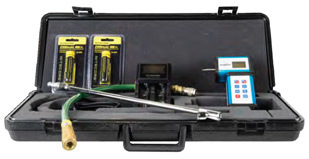 Eliminate downtime with the Haltec Torque Wrench by adding a spare transducer. Send us the original for calibration and install your spare! Wrenches come provided with a Near Field Communication (NFC) Tag, used to quickly identify the serial number with the swipe of a smart device. 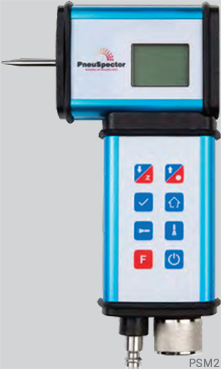 Haltec Automatic Tire Inflators provide precision to maintain properly inflated tires with high speed and accuracy. 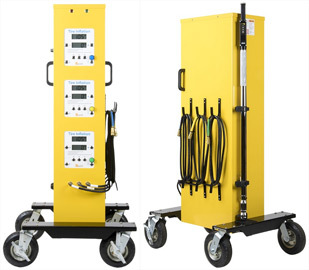 All Haltec Automatic Tire Inflators are designed to provide safe, efficient and accurate tire inflation. Accurate PSI needs to be the primary objective of every tire inflation/service program. The PSI in the tire needs to be accurate and the method of inflation must be simple and fast. THE HALTEC TIRE MANAGEMENT SYSTEM WITH BUDINI SOFTWARE AND AUTOMATIC INFLATORS WILL PROVIDE A CUSTOM SOLUTION DESIGNED FOR YOUR ORGANIZATION. ©2019 Haltec Corporation. All Rights Reserved.